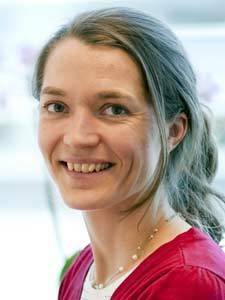 Kaisa Haglund from Harald Stenmark's group at the Institute for Cancer Research, Oslo University Hospital, and Centre for Cancer Biomedicine, University of Oslo is awarded the Anders Jahre's prize for young medical researchers for the year 2015 in recognition of her outstanding scientific work on cellular mechanisms regulating cell division and cancer development. Haglund shares the prize with Professor Pernilla Lagergren from Karolinska Institutet. The prize sum is NOK 400,000. Anders Jahre's Awards for Medical Research honor research of outstanding quality in basic and clinical medicine. The prizes are awarded by the University of Oslo and are among the largest within Nordic biomedical research. The award ceremony will take place on the 15th of October. Haglund receives the Jahre prize for her ground-breaking discoveries in basic cancer research. In particular she has used cell culture, mouse and fly models to explore novel mechanisms for downregulation of activated growth factor receptors and control of cytokinesis, the final step of cell division. Haglund has identified new mechanisms that regulate cytokinesis and shown that impairment of these mechanisms lead to tumourigenesis. Her findings are highly relevant to understanding the cellular control mechanisms that prevent normal cells from transforming into cancer cells.